Spectacular Oceanfront Villa in Ixtapa! 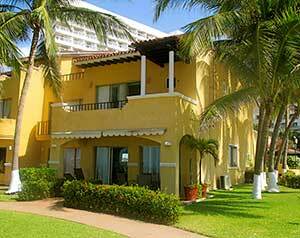 Delight in the old world charm and modern luxuries that you’ll find in sun-kissed Ixtapa. Our two-story, four-bedroom villa is located at the Tesoro Ixtapa Mexico Resort, nestled perfectly next to the Pacific Ocean. This oceanfront property is a two-story villa in the heart of Ixtapa. The villa features four bedrooms (one master king suite) and four bathrooms. The floors feature marble floors, a full-size kitchen, eat-in dining area and a great room/living room. Enjoy all the amenities the beautiful Tesoro Resort offers, while enjoying your vacation in the comfort and privacy of a fully-equipped and spacious home.